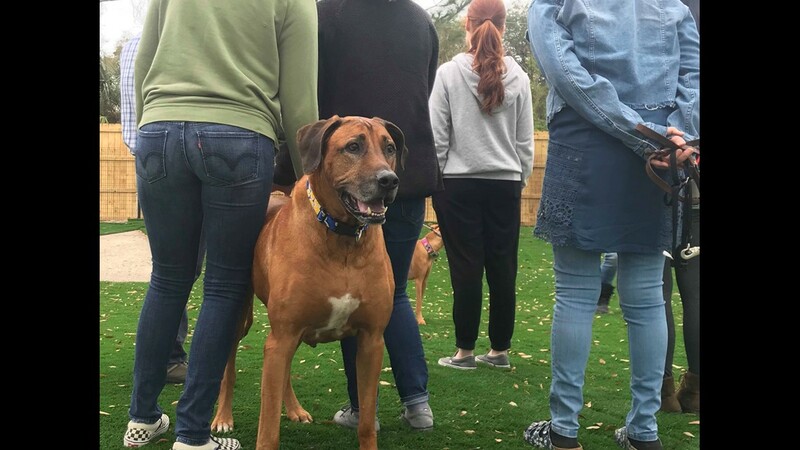 First Coast Brews got an exclusive look at the bar that's creating a community-driven space where people and their pups can come together to have a good time. Dogs, local craft beer, and the great outdoors. That's the overarching theme behind BrewHound, the beaches first and only dog park bar nestled off of Florida Boulevard in Neptune Beach. Lauren Wyckoff and Jason Underwood are the co-owners of this unique space and say that they were inspired by the natural Florida landscape. "Our connection to nature is our biggest aspect," says Wyckoff. "The East Coast Greenway runs along Florida Boulevard over here and we have a path that leads right to our structure...It's gonna encourage folks to come out here, play and be outdoors." 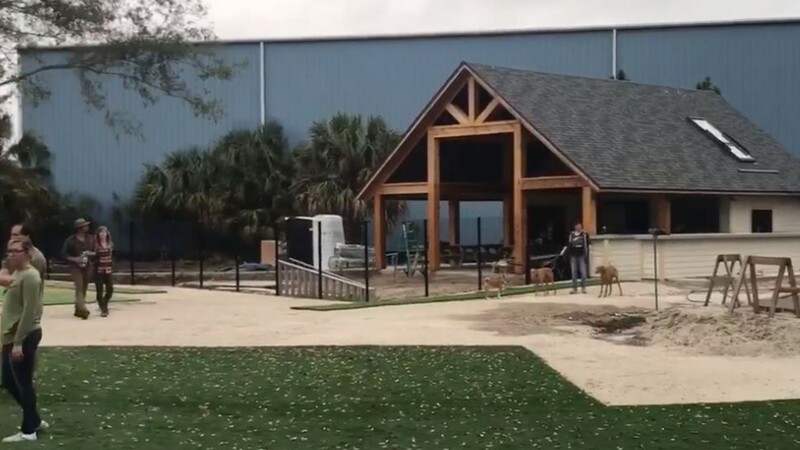 BrewHound sits on nearly an acre of land that's split up into three sections, a bar, a main dog play area, and a smaller area for miniature pups. The open-air bar resembles a trail outpost with tall wooden beams that support a triangular rooftop, offering a cover for patrons hoping to catch some shade from the hot Florida sun. 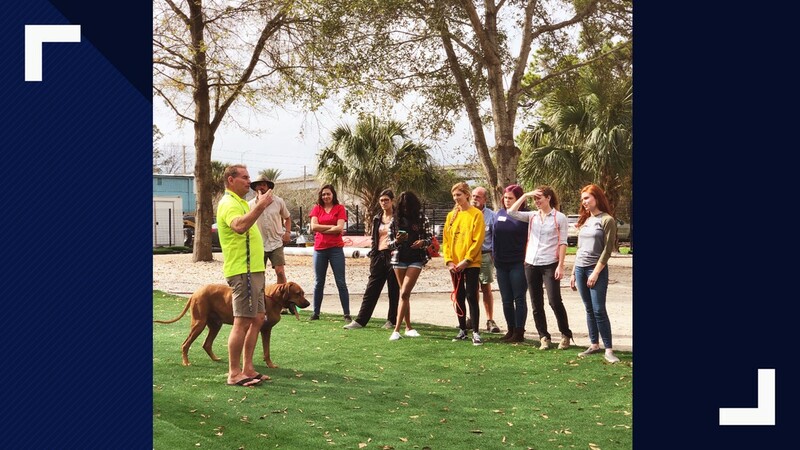 Photos from one of the staff training sessions hosted by BrewHound and trainer, Greg DiFranza. 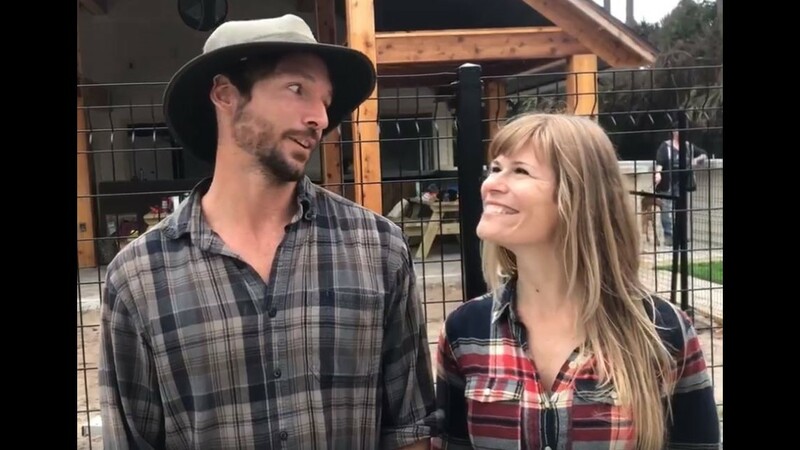 Owners, Lauren Wyckoff and Jason Underwood. 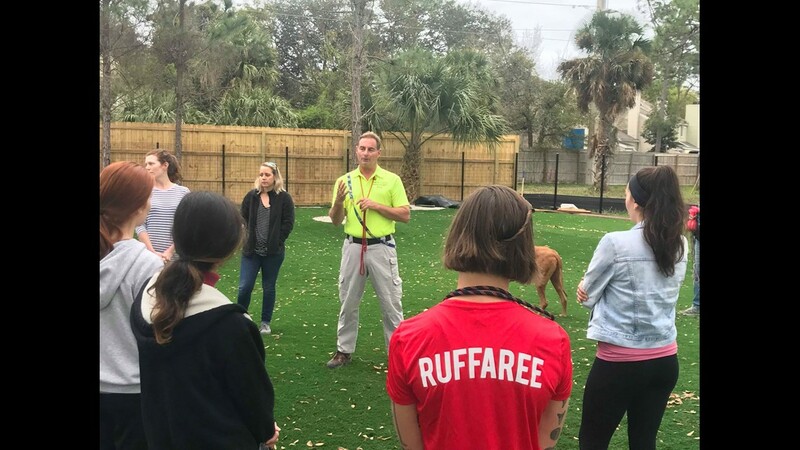 BrewHound hosts a doggie training session to train 'RUFFerees' how to handle dogs within the park. Inside, large picnic tables are lined up in rows with tons of space to mingle and hang out with friends. Wyckoff says that they'll have wine and local craft beer on draft alongside a few bottles. They'll also offer tasty Bold Bean Coffee creations served by baristas. They're even working on incorporating dog-themed latte art into some of their signature recipes. The main dog park sits adjacent to the bar and serves as a sprawling green space for dogs to run amuck while patrons kick back and enjoy their favorite beverage. One of the most striking features of the park is a doggie splash pad that will shoot water up from a concrete slab for a fun splashdown. I know what you're thinking, and yes, alcohol and pets CAN mix. Because the park of one of the first of it's kind to combine pets and brews, the owners are taking extra precautions to prepare staff. 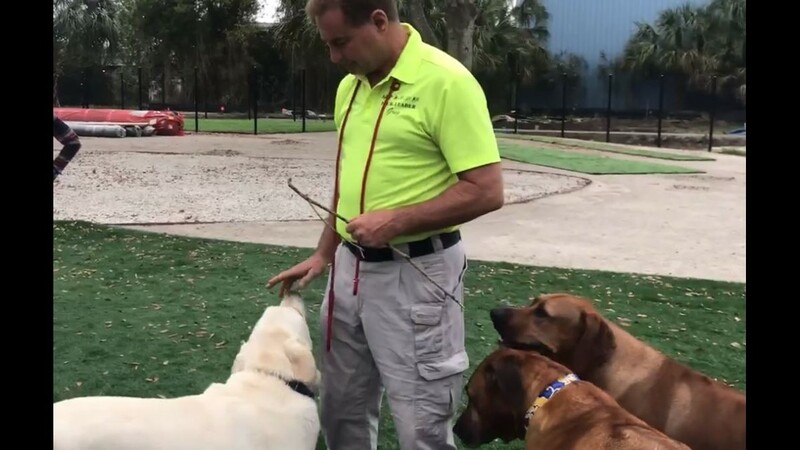 Greg DiFranza runs Kamp K-9, a business that focuses on dog training and pack leadership skills. BrewHound enlisted his expertise to coach a series of training sessions to help mitigate situations before they arise. Think of it as Dog Psychology 101. "We're gonna do dog parks the way dog parks should be done," says DiFranza. 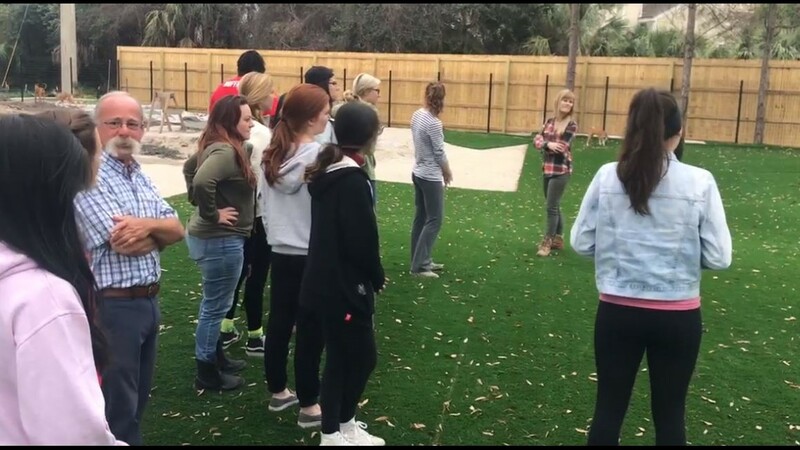 "Most dog parks don't have alcohol in them at all, so this is a very unique type of arrangement but the same thing applies here... it's about safety for the dogs, safety for the people and for everyone to have a good time...."
Difranza is teaching staff about proper introductions to dogs and how to intervene in situations if needed. After the RUFFerees are all trained up, they'll be ready to hit the ground running. Wyckoff and Underwood say that they haven't committed to an opening date for the park yet, but are aiming for some time at the end of March. Until then, you can check out their website for pre-packaged pricing for BrewHound memberships. 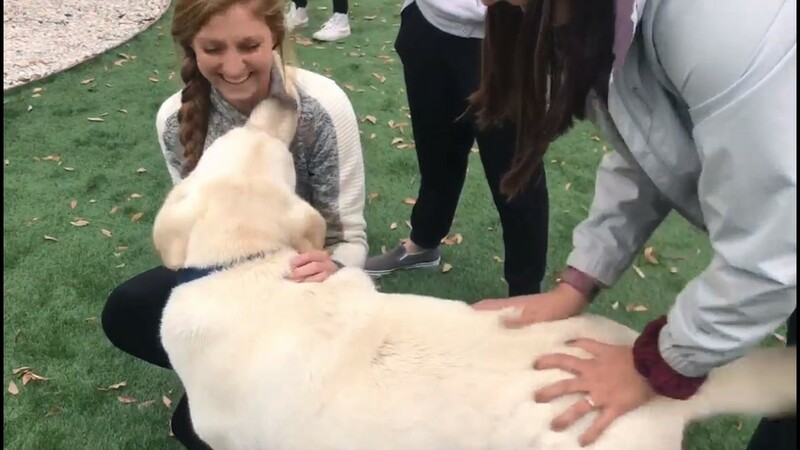 By getting in your applications and all your dog's information submitted early, it'll be easier to come in and start playing when they do open. For more information about the packages and to see all the latest updates from BrewHound click here. Follow First Coast Brews on Twitter for more great beer-related content.